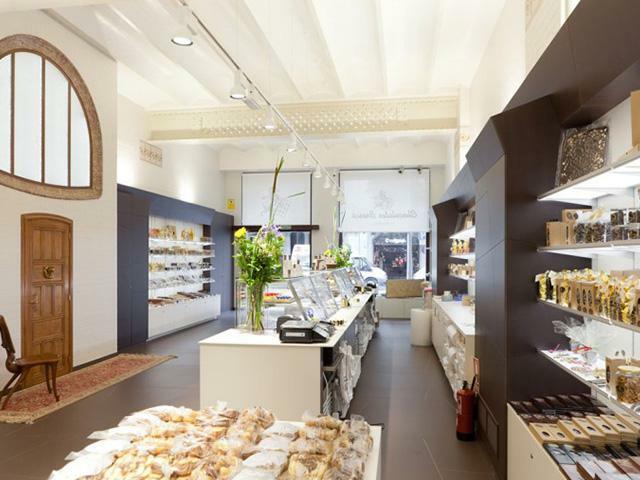 A brand new Brescó chocolate shop and patisserie has opened in Barcelona, literally covered from floor to walls in NEOLITH sintered porcelain surfaces. Although commonly used in kitchen design, or in the place of marble counter tops, tiles and marble flooring in the case of beautiful bathroom design, the extensive use of NEOLITH in this location is breathtakingly unusual. The establishment also educates shoppers on the origins of cocoa and the history of Brescó Chocolates. After enduring a family saga, and with the passage of time, Brescó has continually adapted to the market’s demands and evolving consumer tastes with initiative and creativity. 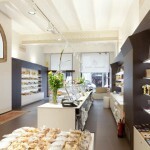 At 200 metres squared the shop is located at the entrance of an Antoni Gaudi building (Casa Calvet), originally built in the 1900s. 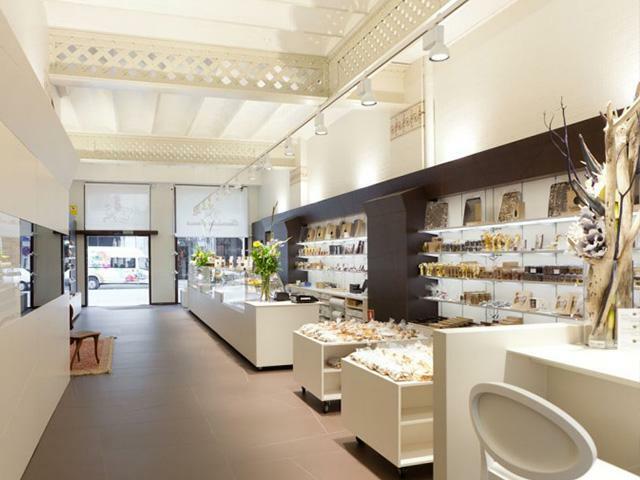 Brescó stone chocolate is one of their most recognized products, as are their cream truffles and spreads. 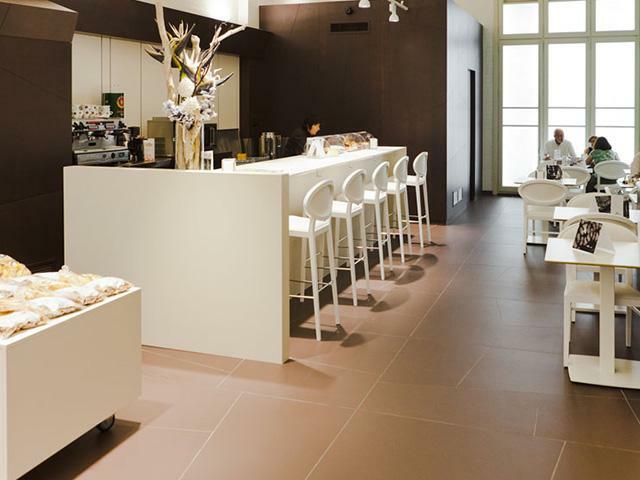 The NEOLITH sintered porcelain ‘cocoa-coloured’ tiles are an essential design element in the new store, with the dark and light chocolate colours resonating strongly with tourists. Almost everything has been made with NEOLITH: the floors, walls, bathrooms and even the furniture. From the cocoa-coloured flooring, to the dark chocolate wall cladding and the white countertop surfaces, NEOLITH sintered porcelain has been installed. The walls and floors are made with a mosaic technique intended to evoke the modernist mosaic style called trencadís. The colours used in this project are Avorio and Chocolate*. *Please note that Chocolate is not available in the South African palette.